Now that we’re through the tougher winter months, it isn’t too early to start thinking about spring wedding ideas to incorporate into your special day. The weather is getting warmer and the flowers are starting to be in full bloom—and that’s the perfect recipe for an incredible wedding ceremony. Keep reading for some of our favorite ideas to feature on your big day. 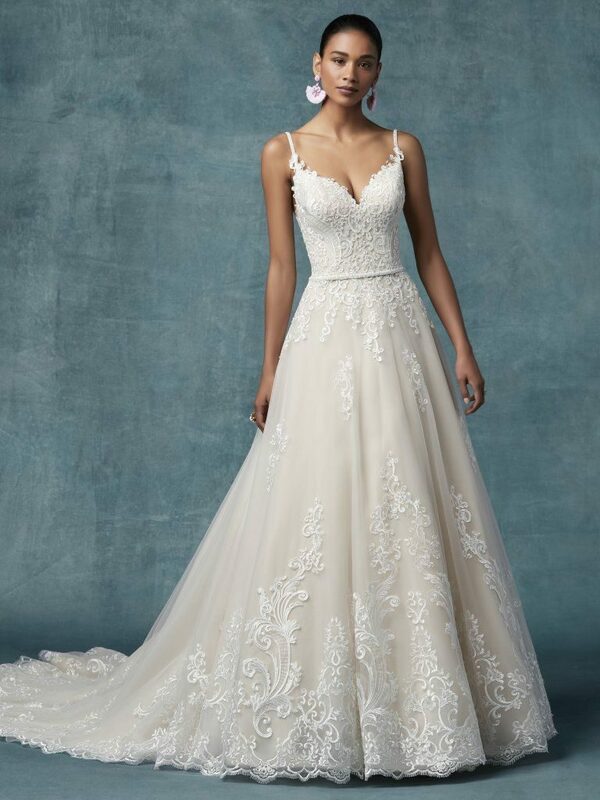 With so many beautiful flowers blooming, it make senses to add a touch of florals to your stunning wedding dress. We don’t mean that your dress needs to be colorful with giant flower decorations all over it (although that would be pretty kickass!). What we’re really talking about is having subtle floral embroidery on your dress. It’s a small touch that can add a unique seasonal flare to your bridal look. 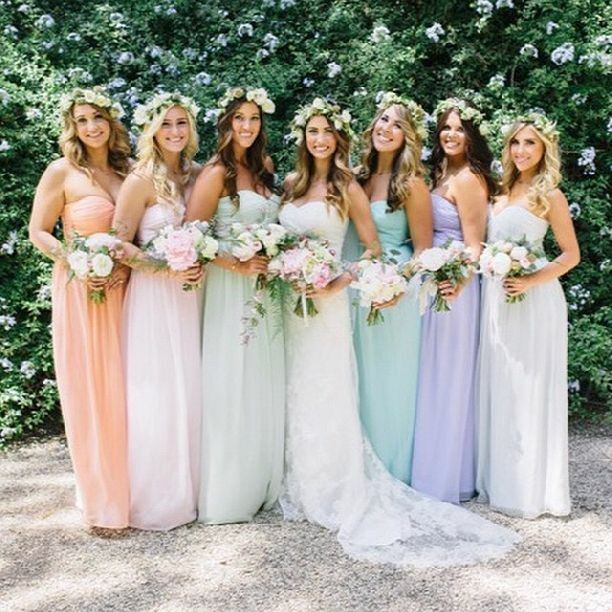 If you’re opting to go with a flower crown over a traditional veil, one of our favorite spring wedding ideas is to match your crown with your colorful bouquet. Your crown doesn’t necessarily need to be as big and bold as the bouquet, but a muted version will offer a nuanced touch that some will appreciate. 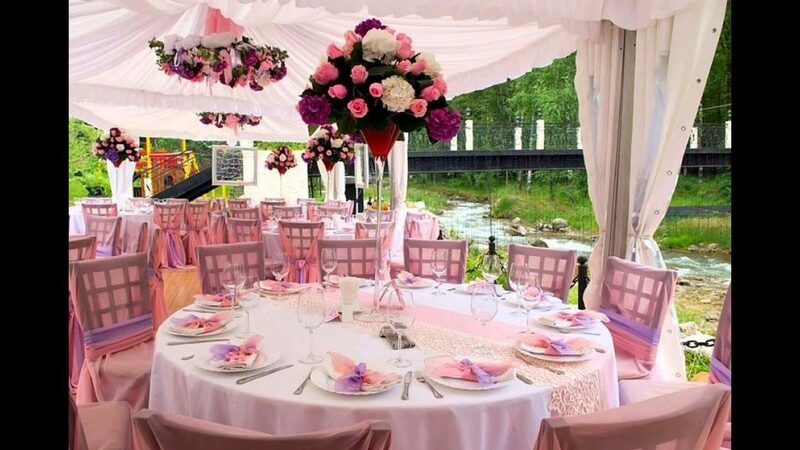 Go with big and bright colors to really add a touch of spring to your wedding day. From March through May is the best time of the year for flowers. Having your wedding fall between that time means that you’re going to have a phenomenal choice of flowers to choose from for your bouquet. A springtime wedding is the perfect occasion to bust out a little bit of color on for any suits that are part of the wedding day attire. A colorful neck or bow tie, a flashy pocket square, some dazzling socks: these are all simple ways to bring out some springtime color in a suit. 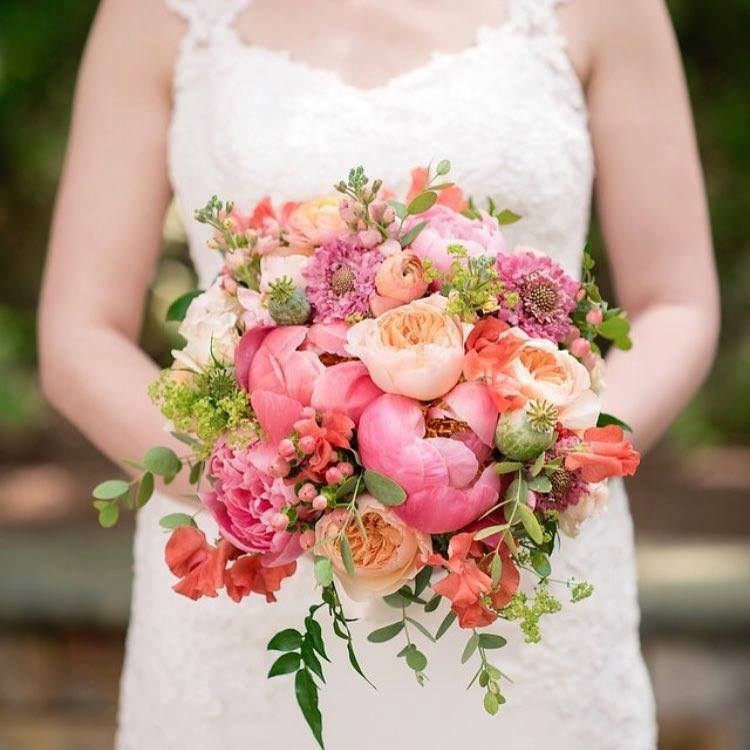 Florists absolutely love spring weddings because they’re afforded the opportunity to use so many different and colorful flowers in their work. A distinct centerpiece can set your wedding day apart from the others, so be sure to let your florist know that you’re looking for plenty of color to decorate your tables. Springtime evokes a feeling of minimalism, or keeping things on the lighter side. What better way to represent that than through your delicious catering menu? When it comes to spring, many begin to incorporate Easter décor, and that, of course, means eggs. Why not add this springtime touch in a subtle way with a quail egg appetizer for your guests? As for salads, offer a colorful mixed green salad with a light vinaigrette dressing. Your guests will find this refreshing and elegant. When it comes to the main course, consider choosing citrusy marinades, mint infusion, and plenty of aromatic herbs to garnish your plates. For some, spring is their favorite time of the year specifically for the popularity of pastel colors. You can use pastels in nearly all of our spring wedding ideas. You can choose to have your bridesmaids wear pastel-colored dresses, you can add a dash of pastel to your tableware, or you can incorporate pastel colors into your wedding cake. In keeping with the same light theme of your catering menu, another great spring wedding idea is to serve your guests fruity cocktails. Add a delicious twist to your spring wedding by offering cocktails that are on the lighter side. Champagnes and sparkling wines are a good place to start. There are plenty of gorgeous and innovative springtime wedding cocktail recipes available for you to try. 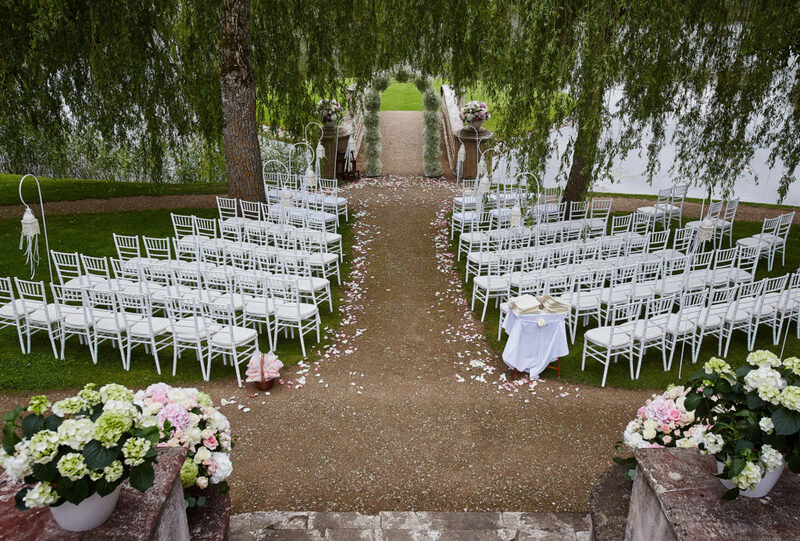 Spring is one of the perfect times of the year to host your wedding ceremony outside. The weather will have warmed up from the winter, but not so much that all your guests will be sweating through the ceremony. Springtime in Los Angeles is gorgeous, and you’ll find it to be a perfect time to say your vows in an outdoor setting. Get your guests primed and ready for your seasonal wedding by incorporating springtime elements on your invitations. This could mean having a colorful flower print, or incorporating pastel colors in some way. Most people opt for summertime weddings—which we love just as much—but a spring wedding is full of charm and beauty, and will be very memorable for you and your guests. We love the idea of keeping things on the lighter side, as it’s a stark contrast from hosting a winter wedding. So keep some of these spring wedding ideas in mind as you plan the most special day of your life!